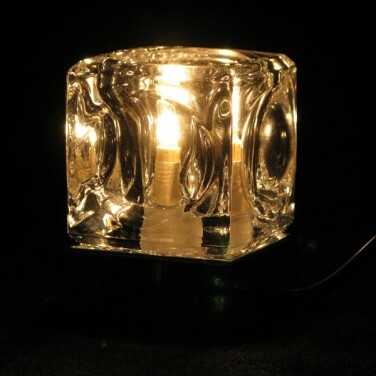 Both modern and stylish the ice-cube touch table lamp wouldn't look out of place in a minimalistic show home, but not age-specific it would equally look good in a child's bedroom used as a bedtime nightlight. 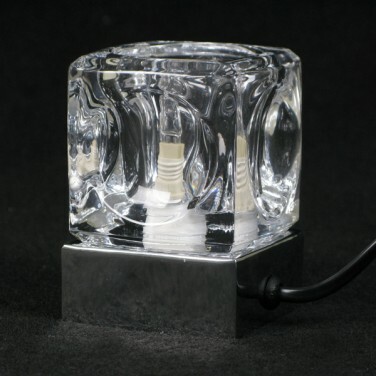 The four stage touch dimmer control on the chrome base means that it is easy to use whilst being adjustable so should your child wake in the night and need to go to the loo they can easily touch the chrome base once and the lamp will provide just enough light to guide the way without making them fully awake. 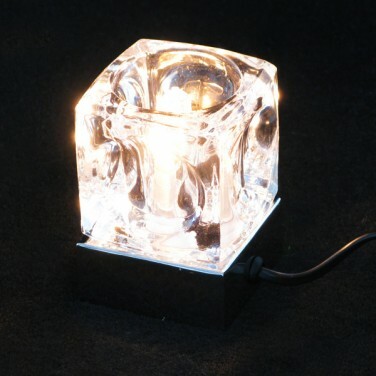 With two other lighting levels - medium and bright to choose from it can also easily be used as a reading light and a light to illuminate the whole room. 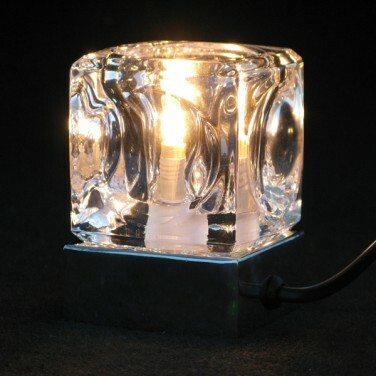 The ice cube touch table lamp measures 10cm x 7cm x 7cm and is mains powered. Please note the halogen bulb heats up quickly so care is needed if handling the lamp when switched on or just after it has been switched off.